What makes a recipe heart healthy? That means the ingredients are thought to be good for your heart. Heart-healthy foods also are low in saturated fat and low in salt. In honor of American Heart Month, we’re sharing 5 recipes that you can enjoy with your family. You’ll notice olive oil, nuts, and even chocolate in these recipes. So get cooking and then get eating! 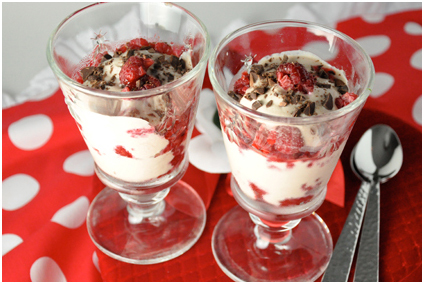 Just for fun, we’ll start with dessert — Chocolate Sweetheart Parfaits. This creamy treat mixes yogurt, cocoa, berries, and then adds just a hint of chocolate shavings on top. And you only need 5 minutes of prep time. Add honey and yogurt and stir until they’re well combined with cocoa mixture. It will turn light brown. Spoon 2 Tbsp of yogurt mixture into the bottom of four clear, tall glasses. Top with some raspberries and repeat until all the yogurt and raspberries are used up. Oatmeal doesn’t have to be served in a bowl. 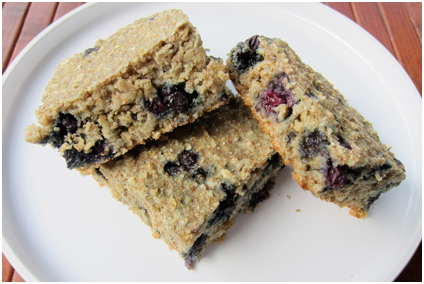 Make your own whole-grain blueberry oatmeal squares, studded with good-for-you blueberries. Place all the ingredients into a large bowl and mix until just combined. 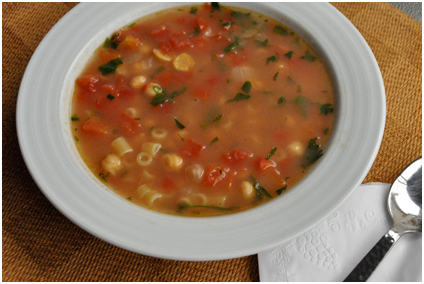 This easy soup starts out with canned chicken stock and finishes rich in vegetables and taste. Bring to a boil, cover and reduce heat. Simmer for 5 minutes. While potatoes are cooking, make dressing. 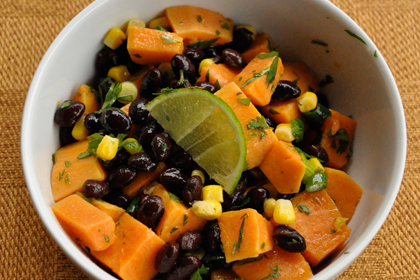 In a large bowl, whisk together lime juice, zest, salt, pepper, honey, canola oil and chipotle. Add cooled potatoes, scallions, beans and cilantro. Toss gently. 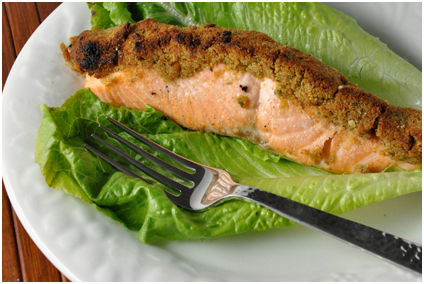 Fish contains healthy, unsaturated fat, but olive-crusted salmon packs a double punch when it comes to nutrition. The olives are heart-healthy, too! Place oven rack 6 inches from broiler flame. Place olives, bread and lemon zest into a food processor and process until it reaches a paste texture. Broil fish about 15 minutes, checking halfway through to ensure it’s not burning. Share your favorite recipes below.